It's one thing to be able to tell a story through words but it's a totally different world when you are able to show emotions and create an impacting story using animations and pictures. That's exactly what Montreal based, award winning story artist and animation director, JC Little does. Who is PickleWeasel? He is a mischievous and he is trouble, a brilliant animation by JC Little, The Animated Woman. If you are already a fan of her work, this first book definitely does not disappoint! 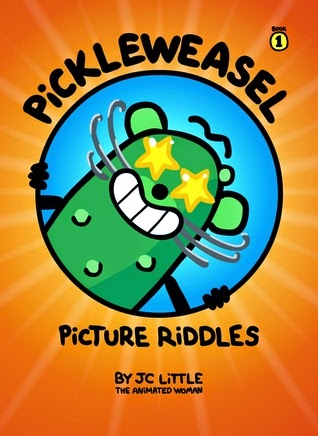 In this all-new picture book, PickleWeasel - Picture Riddles, every page is a game! This book has 108 colourful and uniquely drawn pages and picture riddles inside range in difficulty from easy to some being more of a challenge. It's geared toward older kids around ages 8 and up but my six year old son also enjoyed it as much as his older sister and I did. If you don't know the answer to the picture riddle, it's not hard to find. Just look under your thumb! And, if you look at the top corner of the pages in the hardcover version there is a cute little PickleWeasel flip through animation. Love the extra touches! Our favourite PickleWeasel moments - Can you guess the answers? This is a great book for all ages. Although I do love traditional hard cover books, the Kindle version of this is great because you can touch and swipe making it even more fun. A little birdie told me it's got extras included. It's a bit of learning and a whole lot of fun with quirky pictures and riddles that will have you smiling. 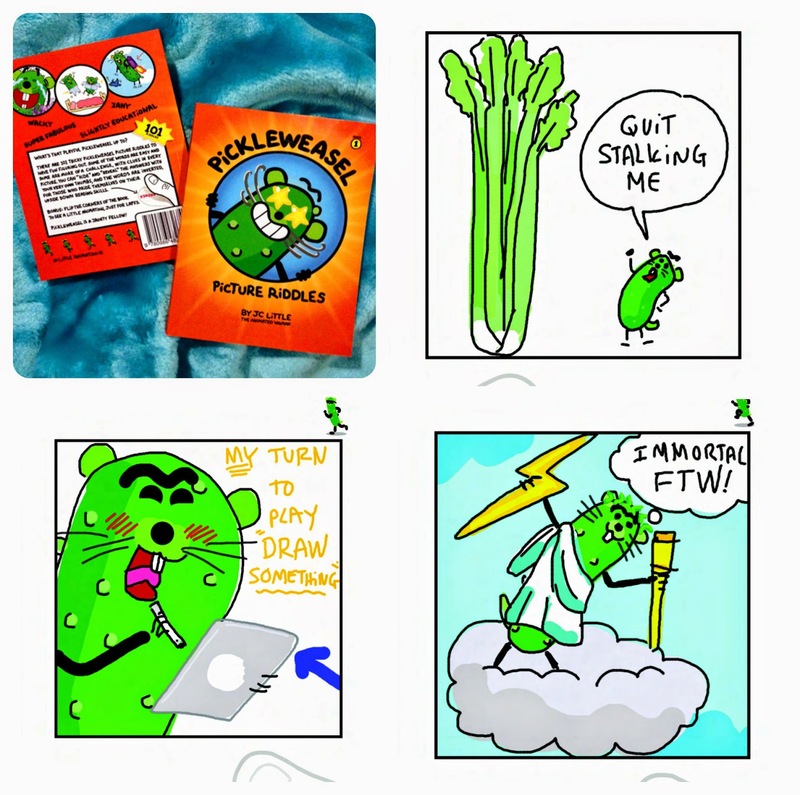 I can't wait to see the rest of the PickleWeasel collection! A great addition to both your Kindle and home library collections, PickleWeasel Picture Riddles is available on Amazon in both Kindle edition and hard cover! There may still be time to get PickleWeasel under the Christmas tree this year! Complimentary digital copy of this book was provided for review purposes. 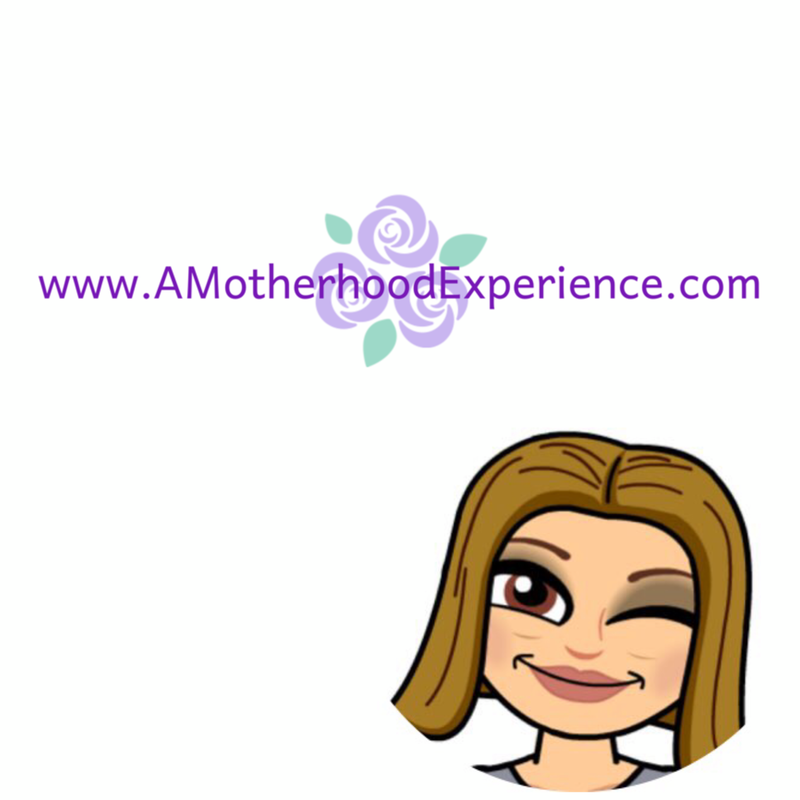 Opinions and comments on this blog are those of the author! Screens by AME. Don't steal. What a cute book with fun illustrations! Thanks for putting it on my radar. This looks so cute. I think I would love it as much as my kids. Awesome riddle book ! Alyssa, you honour me with such a great review. *big smile* THANK-YOU! Ps. PickleWeasel sends a hug. That looks really sweet. And I love flip-through animations. So much fun.